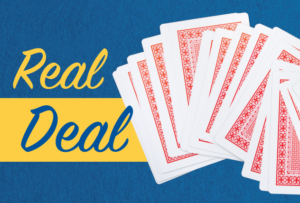 Let’s take a look at the some of the commonly misunderstood stories about the history of duplicate bridge. Although the myths on the list are assigned rankings, they are actually arranged roughly chronologically. 10. Bridge players created duplicate. Reality: The idea of replaying hands by different partnerships or teams and comparing results was started by duplicate whist players. The first well-documented duplicate team event took place in England in 1857. Both the Mitchell movement and Howell movement were used by whist players in the 1890s. 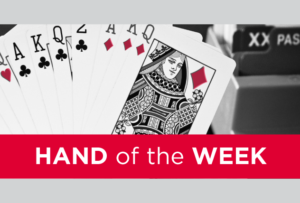 Because their inventors, John T. Mitchell and Edwin C. Howell, died in 1914 and 1907, respectively, neither could have ever played a single hand of contract bridge. 9. Bridge vocabulary was created by bridge players. Reality: Whist players in the 1700s and 1800s developed the card-play terminology that bridge players presently use. 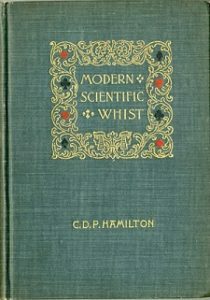 In whist books published in the 1890s, a reader would find the following terms: convention, coup, cover, cross-ruff, Deschapelles Coup, discard, doubleton, echo, eleven rule, exposed card, false card, finesse, follow suit, force, fourth best, fourth hand, game, guarded, holding up, honors, leading through, negative inference, reverse discard, revoke, rotary discard, rubber, ruffing, second hand, sequence, signal, singleton, sub-echo, tenace, third hand, trick, trumps, unblocking and Yarborough, to name a few! 8. Whist was an easier game to play well than bridge. 7. The evolution of bridge went straight from whist to auction bridge. Reality: Between 1897 and 1910, dozens of books were written on the earliest form of bridge. This very popular game was called either bridge whist or, by the shorter name, bridge. The earliest known document describing the method of play was dated 1886. Around 1910, this game quickly disappeared when its offspring – auction bridge – replaced it in the hearts of card players. 6. Our bid ranking system is logical. Reality: The logic is questionable. In modern bridge, 3♣ is a higher bid than 2NT, but the trick value of making 3♣ (60) is less than that for 2NT (70). Another example: 5♣ is higher than 4♥, but 100 (the score for 5♣) is less than 120 (4♥). A system of ranking bids based on a bid’s value is called “value bidding” or “value calling.” This was the standard method of ranking bids in the U.S. until 1915 and in the U.K. until around 1930. For simplicity of explana-tion, I provided this example using modern trick values. In 1910, however, a spade trick had the value 2, while a heart trick had the value 8. Using the actual trick values at that time, a bid of 7♠ had only the value 14 (7 x 2 = 14), while the bid of 2♥ was higher (2 x 8 = 16). 2♥ was a legal bid after an opponent bid 7♠! No, I am not kidding. 5. Non-bridge players are not interested in bridge stories. Reality: If the story is shocking or scandalous enough, they are interested. No bridge event generated more press than the murder mystery of Joseph Bowne Elwell. He was the bridge equivalent of Charles Goren from 1902 until his death in 1920. As the author of the most popular books during those years, Elwell was known by the millions who took up the game in that period. As a top player, he was paid very well to teach the game to the rich and famous, in-cluding, supposedly, King Edward VII and certainly the Vanderbilt clan. 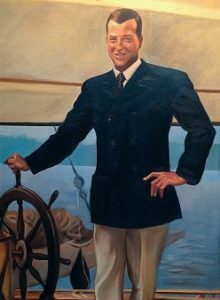 His finest student was Harold S. Vanderbilt (see Myth No. 3) who also became his regular partner. The Official Encyclopedia of Bridge states that they were probably the strongest partnership in the U.S. from 1910 to 1920. Joseph Elwell was murdered in New York City on June 11, 1920, at his home on West 70th Street. During the week following the murder, The New York Times ran more than a dozen articles on the mystery and thousands of spectators crowded his block every day just to be at the crime scene. Without any evidence of forced entry during the night, it appeared to be crime of passion. There were numerous persons of interest and many scandalous asso-ciations revealed. Several of his socialite bridge students received unwanted publicity. Usually, this type of murder is solved quickly with the arrest of a close friend/enemy or relative, but the Elwell case was never solved. 4. Charles Goren created the 4–3–2–1 point-count system. 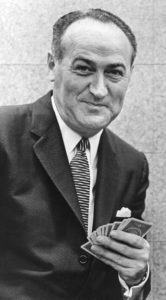 Reality: Bryant McCampbell’s 1915 book “Auction Tactics” contained the first description of the 4–3–2–1 system for evaluating high-card strength of a hand. He called it the “pitch scale” because it was used in scoring for the game “auction pitch.” Auction pitch is a descendant of the game “all fours,” which used that scale way back in 1674. 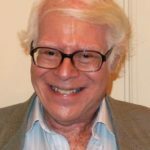 Milton Work made the bridge world aware of the 4–3–2–1 system by endorsing it in his very popular 1927 book “Contract Bridge.” A Canadian actuary, William Anderson, helped Goren extend the system in order to enable the evaluation of distributional hands. 3. Vanderbilt invented contract bridge on a cruise in 1925. Reality: The major difference between contract bridge and auction bridge can be demonstrated by the following example. In auction bridge, the score for bidding 1♥ and winning 10 tricks is the same as bidding 4♥ and winning 10 tricks. This all changed with contract bridge. This philosophy of having to bid game was first described in The Times of India in 1914. Even though Vanderbilt did not invent contract bridge, he was extremely important. 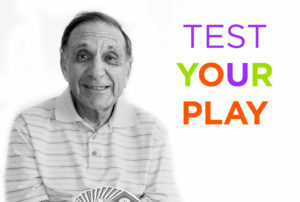 He revised the entire scoring system for contract bridge and introduced vulnerability. During his 1925 cruise, he experimented with this new sys-tem. 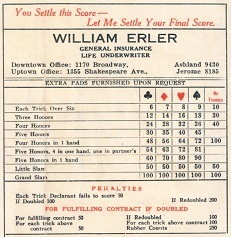 In both auction bridge and pre-1926 contract, the trick values were clubs 6, diamonds 7, hearts 8, spades 9, and notrump 10, with a game requirement of 30. After the cruise, Vanderbilt recommended his new trick values: minors 20, majors 30, notrump 35, game 100. Yes, notrump was 35 points a trick until 1932! It is interesting to note that even though these values are very different from the auction values, in both systems, 11 tricks are required for game in a minor, 10 tricks in a major, and nine tricks in notrump. Clearly, Vanderbilt wished to maintain the same trick re-quirements for game. 2. The bridge writers and authorities encouraged the conversion from auction bridge to con-tract. Reality: During the early and mid-1920s, they resisted the change, primarily because many authorities felt contract would make the game too complicated for the average player and discourage beginners. They even feared it could kill the game. Vanderbilt introduced his version of contract to the rich and famous in Newport and Southampton. After its great success with those elite, the riffraff immediately followed. By 1927, the bridge establishment saw no choice but to modify their auction bridge books into contract bridge books. 1. The ACBL created the masterpoint system. Reality: The American Bridge League (ABL) started issuing masterpoints in 1934 so that players could earn points as a qualification system for the league’s top events. The United States Bridge Association (USBA) started issuing its own masterpoints in 1935. Chaos ensued because it was like an economic system in a country with two nontrans-ferable currencies. 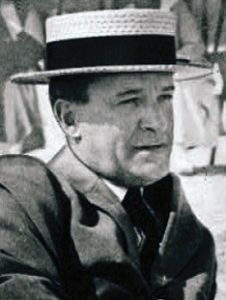 It became evident that for the good of the game, it was necessary for tournaments run by both organizations to award the same type of points, thereby virtually requiring the leagues to merge. 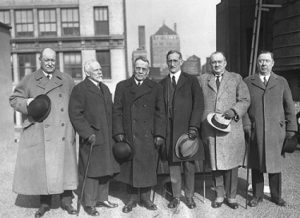 After extensive ne-gotiating/fighting, the ACBL was formed in 1937 by merging the ABL and USBA. So actually the myth is backwards. One can argue that the necessity of having just one masterpoint system created the ACBL.